“Dark & Stormy has mounted a production that serves up a cocktail of heat, danger and irony, with performances that seem to be squeezed whole from the text of the play. 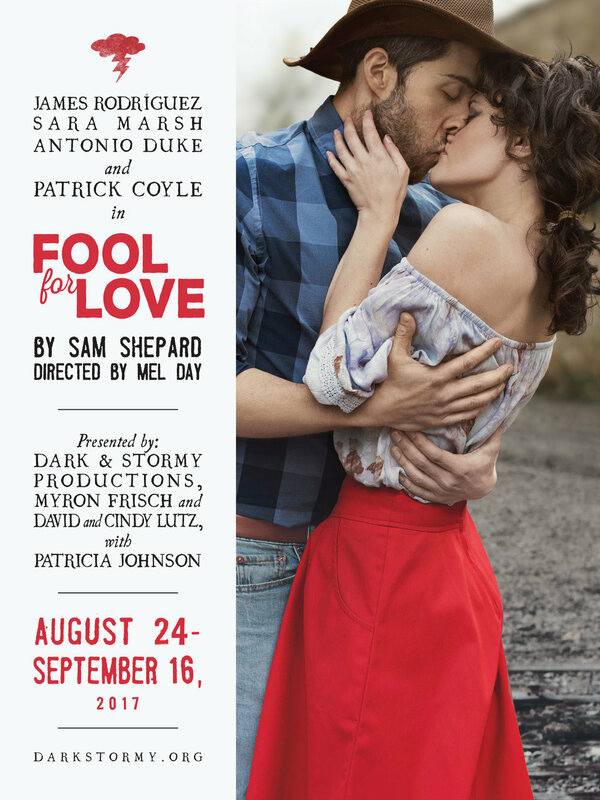 [...] Even if you have seen [Fool For Love], you are still advised not to miss Dark & Stormy's production, for its insights into the dynamic between May and Eddie, and for the excellent performances." "Shepard's plays are full of hard truths and shattered illusions, and you can emerge from some productions feeling like you've been boxed about the ears. Here, though, director Mel Day finds a lighter tone, leaving an even more precipitous plunge to the play's chilling conclusion. [...] This engaging production serves as a welcome reminder that although Shepard is gone, his work is still very much alive." "Director Mel Day's multiracial cast is a wonderful testament to the playwright's universality as each actor manifests their character with a textured sense of a contemporary West fallen from grace and mythos. [...] Sara Marsh's fiery May is utterly feline...James Rodríguez finds Eddie's compulsively possessive characteristic...Antonio Duke gives a fine performance that blends right in with the leading couple, onto the roller-coaster that the volatile pair careen away on...and Patrick Coyle's Old Man is the best I've ever seen...this is a must-see production"
"Directed by Mel Day, Dark & Stormy's production is unique in many ways. The small, scrappy company run by Sara Marsh has stripped the play down to its basics: a bed, a rug, a few sticks of furniture, a window suggesting a parking lot with a menacing Mercedes idling outside. Marsh and James Rodríguez are steamy and doomed as lovers Eddie and May; Patrick Coyle is explosive as the Old Man; and newcomer Antonio Duke, as Martin, is a decent guy caught up in everyone else's mess. Staged in a warehouse studio, in your face and almost in your lap, this is as up-close-and-personal as theater gets."